The poisoning of former Russian spy, seems to be acting as one of the many triggers deepening the rift between Russia and the West. So what exactly happened? On 4 March 2018, double agent and ex-Russian spy, Sergei Skripal, and his daughter, Yulia, were found unconscious on a bench in Salisbury, Southern England, where they both live. The poison used has been identified as a lethal nerve agent called “Novichok”. So, why Sergei Skripal? Who is this real-life James Bond and why is Prime Minister Theresa May pointing the finger towards Russia? Skripal was a member of the Russian intelligence service, known as the GRU. Convicted in 2006 for handing over the names of 300 Russian agents to Britain, Skripal has admitted to helping UK spies for at least a decade. He was released in 2010 due to a US-Russia spy-swap and relocated to Britain. According to chemical weapons expert, Hamish de Bretton-Gordon, Russia has been producing Novichok for decades, as confirmed by a report submitted to the international body, Organisation for the Prohibition of Chemical Weapons (OPCW). And this, my friends, is the main reason why Britain is not pals with Russia at the moment. According to USA Today, Skripal doesn’t seem to fit the usual profile of “journalists, opposition politicians, and exiled tycoons” that have been killed mysteriously in the past. Some unconfirmed reports suggest that Skripal received official warnings prior to the attack, yet he didn’t seem to change his lifestyle whatsoever. Evelyn Farkas, a former top Pentagon official, told Vox that Skripal may have been on a Russian list for some time: “This looks to me like he’s on a list of former spies and former Kremlin cronies who Moscow likes to eliminate as a sign that you have to stay loyal.” The ex-spy remains in critical condition in the Salisbury district hospital. Western nations, including the UK, US and Australia, have been explosive in their reactions against Russia, convinced of the Kremlin’s guilt in the affair. On 14 March 2018, the UK announced it was expelling 23 Russian diplomats in response to the poisoning. Russia, denying any involvement in the attack, has agreed to cooperate and has opened an investigation into the attack. The US has followed suit, ejecting 60 Russians identified as intelligence officers. Washington has also ordered the closure of two Russian consulates in the US. It is common practice for countries to plant spies in foreign embassies, hence the expulsions. The Washington Post argues that the ejections will seriously hinder Russia’s ability to gather intel on the US and its allies. 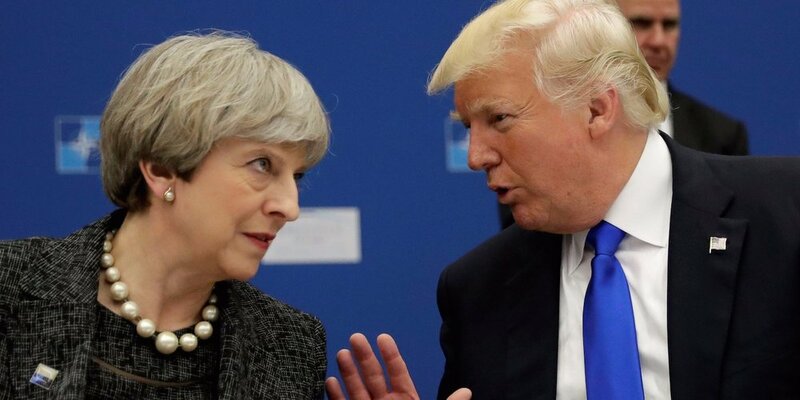 Retaliations from both the UK and US have opened the floodgates from more ejections from over 20 other nations, including France, Canada and Ukraine. Hilariously, New Zealand, wanting to join the club, tried to kick out Russian spies but couldn’t find any. Russia, of course, has retaliated to these retaliations (and this could basically go on forever…). On 29 March 2018, Russia said it would expel 150 Western diplomats, including 60 American officials, and it would close the US Consulate in St. Petersburg. In light of these repercussions, with the West fighting back in an age of Russian interference into everything from the 2016 US Presidential election, to military interventions in Ukraine and Syria, modern events seem to be echoing the Cold War. What does the future have in store for us when it comes to this vicious cycle of nations bickering and explosive responses? Only time will tell. This article was brought to you by Fatima Olumee, a second-year Journalism student. Besides being an absolute bookworm and obsessed Potterhead (not to be confused with Pothead), her passions include yoga, horse-riding, and Bollywood movies. This girl is a big bag of weird… the good kind, she hopes. If there are any current political topics that you would like Fatima to break down, please email publications@utsoc.com.au.